The 40 days leading up to Easter, known as Lent, are set aside as a time for reflection and self-denial in preparation for the celebration of Easter. This year at Lent, orient your life toward Jesus Christ with this unique devotional taken from Holy Bible: Mosaic. Encounter Christ by reflecting on the words of Scripture and the art and writings of Christians across time and cultures. Includes full-color artwork; contemporary and historical writings; prayers, poems, and hymns from throughout church history. Full text of each weeks devotional Scripture readings is also included. Devotions For Lent by yes was published by Tyndale House Publishers in January 2010 and is our 6634th best seller. 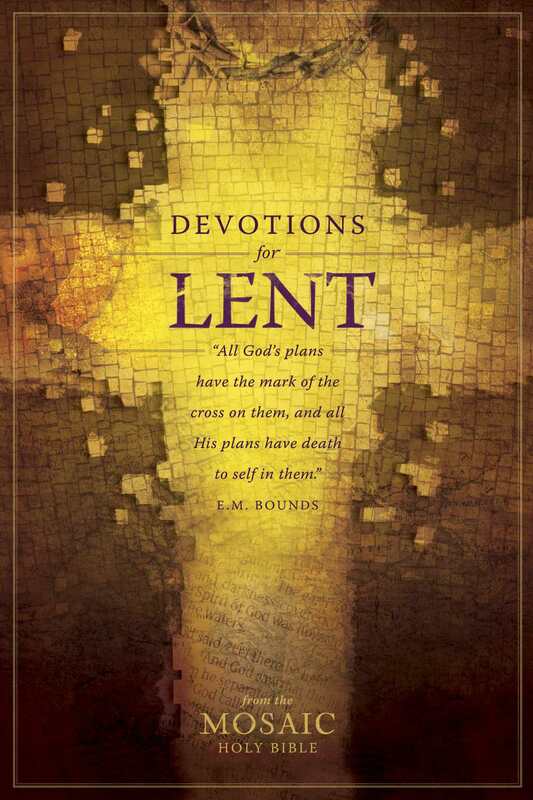 The ISBN for Devotions For Lent is 9781414335810. Got a question? No problem! Just click here to ask us about Devotions For Lent.